New York, NY - February 29, 2012 - (Investorideas.com renewable energy/green newswire) Investorideas.com, a leader in renewable energy stock research for independent investors, issues an investor podcast sector snapshot for renewable energy stocks trading in the energy efficient LED lighting sector for February 28th. Stocks covered include Cree, Inc. l (NASDAQ:CREE), a maker of LED lighting technologies and SemiLEDS Corporation (NASDAQ:LEDS), a developer and manufacturer of LED chips and LED components. New York, NY - February 29, 2012 - (Investorideas.com renewable energy/green newswire) Investorideas.com, a leader in renewable energy stock research for independent investors, issues an investor alert for biofuel stock Solazyme, Inc. (NasdaqGS: SZYM), closing trading for February 28 th at $14.34, up $ 1.21 or (9.22%) on over 1Million shares exchanging hands. The Company announced last week it will present at a series of cleantech investor conferences from the end of February through to March 7th. New York, NY - February 28, 2012 - Investorideas.com, a leader in sector research including water stocks issues a news alert for water stock, Cadiz Inc. (NASDAQ:CDZI). The stock is trading up at 10.69 0.25 (2.39%), with a day's high of $10.96. Cadiz Inc. (NASDAQ:CDZI) announced today that Hannon Armstrong Securities, LLC ("Hannon Armstrong"), an investment bank specializing in the financing of essential infrastructure assets in the United States, including next generation water, energy and telecommunication projects, will lead the Company through the construction financing process for the Cadiz Valley Water Conservation, Recovery and Storage Project (the "Water Project"). The Water Project would provide a new, reliable water supply to Southern California residents by capturing and conserving groundwater currently being lost to evaporation from the aquifer system beneath the Company's 34,000-acre property in California's Mojave Desert. For over three decades, Hannon Armstrong has been providing and arranging capital for companies and governmental entities seeking innovative, low-cost capital structures for new infrastructure assets. Hannon Armstrong has particular expertise in structuring and placing long term infrastructure project finance, including projects involving multiple governmental agencies. Last year Hannon Armstrong's $400 million Hudson Ranch 1 geothermal power project located in Imperial County, CA received the Project Finance Deal of the Year award from EuroMoney magazine. The Water Project facilities include an expanded wellfield on the Company's property and a 43-mile underground water conveyance pipeline that would deliver conserved water to the Colorado River Aqueduct, one of Southern California's primary water distribution facilities. Capital costs for construction of the Water Project facilities are estimated at approximately $225 million and Hannon Armstrong expects that these facilities can be privately financed with lower-cost senior debt supporting a lower cost of water. "Given the Water Project's sound fundamentals and Cadiz's strong asset position, opportunities exist to develop a comprehensive finance solution that will fund the capital requirements on terms customary for public water purveyors," said Jeffrey Eckel, President and CEO of Hannon Armstrong. "The finance solution will be an attractive investment opportunity for long-term investors, such as insurance companies and pension funds, seeking steady fixed-income returns." Over the last 3 years, the Company has invested more than $15 million in development activities critical to designing a Project that once permitted will avoid environmental harm. The Company has sufficient cash on hand to continue to fund development activities throughout the entitlement phase. The Project is currently undergoing an environmental review pursuant to the California Environmental Quality Act ("CEQA"). A Draft Environmental Impact Report ("EIR") for the Water Project was issued in December 2011 by the Santa Margarita Water District, the Lead Agency for the CEQA review. A public comment period is open until March 14, 2012 and a Final EIR is expected to be issued once all comments have been considered and analyzed. The Water Project is expected to provide numerous benefits for local communities throughout Southern California, including improvement of local water supply reliability, reduced demand for imported water from Northern California and certain economic improvements. According to a study published by Inland Empire economist Dr. John Husing in May 2011, the Water Project will support over 5,900 jobs, generate more than $878 million in economic activity in the Inland Empire, and infuse millions of dollars in tax revenue to local governments, including $5.4 million per year for San Bernardino County and approximately $613,000 per year for the Needles Unified School District. Hannon Armstrong Securities, LLC is a registered broker dealer and member of FINRA and SIPC that specializes in financing infrastructure assets by arranging capital for companies and governments that are solving the critical infrastructure issues of today. With a head office in Annapolis, MD and a branch office in California, Hannon Armstrong serves a national client base of primarily Fortune 100 companies. Hannon Armstrong has an experienced team of finance professionals committed to creating, funding and managing sound transactions that make a positive contribution to the nation's economic and environmental health. For more information about Hannon Armstrong, visit www.hannonarmstrongsecurities.com. Founded in 1983, Cadiz Inc. is a publicly-held renewable resources company that owns 70 square miles of property with significant water resources and clean energy potential in eastern San Bernardino County, California. The Company is engaged in a combination of water supply and storage, organic farming and solar energy projects, including the Cadiz Valley Water Conservation, Recovery and Storage Project. In 2009 Cadiz adopted a wide-ranging “Green Compact” to implement environmental conservation and sustainable management practices at its properties. For more information about Cadiz, visit www.cadizinc.com. InvestorIdeas.com is a leader in investor stock research by sector. Sectors we cover include; cleantech and renewable energy stocks, biotech stocks, mining and gold stocks, energy stocks, water, tech, defense stocks, nanotech, agriculture and gaming. New York - February 27, 2012 - Solar stocks commentary; Investor Ideas www.Investorideas.com, leader in renewable energy stock research for independent investors, issues a solar stocks update from J. Peter Lynch for Monday February 27th. Our first stop loss point for our 2012 Solar Portfolio was triggered with YGE trading below $4.20. We did not question our system; we simply followed it and sold the position for a small gain of 1.92% on the YGE trade. Our second action was to sell ½ of the remaining positions on 2/13/2012 when all solar stocks shot up to VERY overbought levels, which I did not think were sustainable. On Friday (2/24/2012) two more stocks hit their stop points and were sold - GTAT @ $9.00 and TSL @ $8.50. This leaves the portfolio with two positions - CSIQ (600 shares) and LDK (500 shares). Of the two stocks LDK is the strongest as this time and in fact is the ONLY solar stock that is trading ABOVE both its 50 day moving average (short term positive) and its 200 day moving average (longer term positive). The current status of the 2012 portfolio is an unrealized gain of 25.74% on the two positions remaining in the portfolio and a realized gain of 20.13% on the positions we have sold. As a reminder below are the stop loss points I have selected based upon technical support levels in each stock. I have set these stop points very close, since, as I mentioned in the last article I did expect the markets to pull back due to the fact that they are short term overbought. The stop loss points for the remaining stocks in our Solar Portfolio are. If either of these stocks reach these levels I would recommend selling that position. Minimize your LOSSES and Maximize your GAINS. The HARDEST THING for investors to do is know when to sell. That is why you have to set specific, non-emotional prices to exit if things do not go right. You cannot allow your emotions to get involved and take over your thinking. Remember: markets fool the majority of investors by "Climbing a Wall of Worry" which is exactly what it is doing now. Once losses start and keep getting worse when investors get on the "Slopes of Hope" and try and hope that their stock comes back - trust me, the "I hope my stock comes back" technique will NOT work. Trust in your system and follow it regardless of what you think "should happen". Once you try to impose your will on your portfolio you will stop paying attention to what is most important - "what is" NOT what you think it should be. Approximately 80% of trades would be either small losses and/or small gains and approximately 20% would be very significant gains. This is exactly how we dramatically outperformed the markets in 2010 and 2011 and continue to outperform since the beginning of 2012. We cut our losses when things did not work out and we let our profitable stock run and maximized our gains. At the current time the market is very extended above its 50 day moving average - a level which historically results in a pullback in the market closer to the 50 day moving average. As a result of this I have been setting our stop loss points very conservatively in order to make you that when the correction comes we will still lock in healthy profits. At this point the general market is STRONGER than the solar stocks as a whole, so when the market pulls back and corrects I would anticipate that our solar stocks will move down further than the market correction. Keep in mind that periodic corrections are normal in the stock market - what is NOT normal is for the market to be sharply up, without a correction since October 2011. Fundamental Analysis - this is the analysis of the fundamental financial condition of a company to identify which stocks you may want to buy when the timing is right. This form of analysis will give you NO indication of the best time to buy a stock or sell a stock. Technical Analysis - this form of analysis will tell you "when" to buy a stock and when to sell the stock. It will do this by showing you (in chart format) the basic interaction of supply and demand and when the two change and shift which will indicate a time to buy or a time to sell. Mr. Lynch has worked, for 35 years as a Wall Street security analyst, an independent security analyst and private investor in small emerging technology companies. He has been actively involved in following developments in the renewable energy sector since 1977 and is regarded as an expert in this field. He was the contributing editor for 17 years to the Photovoltaic Insider Report, an early publication in PV that was directed at industrial subscribers, such as major energy companies, utilities and governments around the world. He is currently a private investor and has from time to time been a financial/technology consultant to a number of companies. He can be reached via e-mail at: SOLARJPL@aol.com. Please visit his website for the promotion of solar energy � www.sunseries.net. LITTLE FALLS, NJ - February 27, 2012 (Investorideas.com Newswire) - mPhase Technologies, Inc. (OTC.BB: XDSL.OB) said today that it has accepted an invitation to visit on March 20 and March 21, 2012 a major European Technology "Cluster." The invitation was extended, after the Cluster reviewed mPhase's patent portfolio and the recent valuation and product applications that could result from potential licenses of various patents contained in the portfolio. mPhase is exploring funding of additional research, development and product commercialization in the areas of reserve batteries using principals of electrowetting and microfluidics. The first day of the visit is to acquaint mPhase with the considerable laboratory resources that could be made available in Europe to continue development and commercialization of its intellectual property. The second day of the visit will introduce mPhase to large commercial firms, including a medical device company, that have indicated interest in establishing partnerships with mPhase for product development. The focus and interest is based upon the ability of mPhase's Smart Surface technology to electronically control the precise flow of a fluid on a nano-structured surface. http://www.mpowertech.com. More information about the company can be found at http://www.mPhaseTech.com. As a cautionary note to investors, certain matters discussed in this press release may be forward-looking statements within the meaning of the Private Securities Litigation Reform Act of 1995. Such matters involve risks and uncertainties that may cause actual results to differ materially, including the following: changes in economic conditions; general competitive factors; acceptance of the Company's products in the market; the Company's success in technology and product development; the Company's ability to execute its business model and strategic plans; and all the risks and related information described from time to time in the Company's SEC filings, including the financial statements and related information contained in the Company's SEC Filing. mPhase assumes no obligation to update the information in this release. New York, NY - February 24, 2012 - (Investorideas.com renewable energy/green newswire) Investorideas.com, a leader in renewable energy stock research for independent investors, issues an investor alert for biofuel stock, BioFuel Energy Corp. (NASDAQ: BIOF), trading up at $ 0.7604, up 0.1005(15.23%) on over 6 Million shares. The Company announced that it will be releasing its fourth quarter and year-end 2011 earnings on Thursday, March 1, 2012, after the market closes. BioFuel Energy currently has two ethanol plants operating in the Midwestern corn belt. The Company's goal is to become a leading ethanol producer in the United States by acquiring, developing, owning and operating ethanol production facilities. Please read all Investorideas.com disclaimers and disclosures. All investment involves risk and possible loss of investment. The audio recording you have listened is not a solicitation to buy and sell securities. Clean Energy Stocks Blog for Green Investors: part of the Investorideas.com cleantech investor stock research content. Research Renewable Energy and water stocks as an Investor Ideas member and gain access to global green stock directories- get login access to all 4 cleantech stock directories including water stocks and renewable energy stocks : http://www.investorideas.com/membership/. Disclaimer: this is not a solicitation to buy or sell stocks, or an endorsement for any company. New York, NY - February 23, 2012 - (Investorideas.com renewable energy/green newswire) Investorideas.com, a leader in renewable energy stock research for independent investors, issues a sector close-up for trading for February 22 nd . Notable gainers included China Ming Yang Wind Power (NYSE: MY), Plug Power. (NasdaqCM: PLUG), Quantum Fuel Systems. (NasdaqGM: QTWW) and W estinghouse Solar (NasdaqCM: WEST). Wind stock, China Ming Yang Wind Power (NYSE: MY) ended the day at $2.73, up 0.23(9.20%) followed by gains of 0.04 (1.60%) in after hours trading. Plug Power, Inc. (NasdaqCM: PLUG) finished up at $2.55, gaining 0.22(9.44%), with after hours trading moving the stock up to $2.61, up another 0.06 (2.35%). The Company today announced it will release the Company's 2011 fourth quarter and year end results on March 8, 2012. Quantum Fuel Systems Technologies Worldwide, Inc. (NasdaqGM: QTWW) had double digit gains closing up at $1.09, up 0.14(14.72%), with an after hours move to $1.14, up another 0.05 (4.59%). The Company reported yesterday on the closing bell that it received a letter from Nasdaq Staff notifying the Company that because the closing bid price of the Company's common stock was at least $1.00 per share for at least 10 consecutive business days it has regained compliance with The Nasdaq Stock Market's $1.00 minimum bid price rule set forth in Listing Rule 5450(a) (1) and the matter is now closed. Solar stock, Westinghouse Solar, Inc. (NasdaqCM: WEST) closed trading at $0.67, gaining 0.06(9.84%) on over 87, 000 shares. Last week the Company announced it has signed a letter of intent to pursue a business combination with CBD Energy (ASX: CBD.AX), a renewable energy company based in Sydney, Australia. Terms of the transaction have been approved by the boards of directors of both companies, subject to satisfactory completion of due diligence and definitive agreements. The companies are targeting execution of definitive documents in early March and a third quarter closing date, subject to shareholder approvals and other customary closing conditions. ANNAPOLIS, Md. - February 22, 2012 (Investorideas.com renewable energy/green newswire) Clean Wind Energy Tower, Inc. (OTCBB:CWET) (the "Company") announced today that the Asher Enterprises, LLC, note, convertible into common stock, entered into on August 23, 2011, in the amount of $32,500 was paid off in cash. No shares of the Company's common stock from this note are being held in reserve for conversion. Ronald W. Pickett, Chairman and CEO, stated, "The Company is pleased to report the timely repayment of this incremental financing". About Clean Wind Energy, Inc.
Clean Wind Energy, Inc., a wholly owned subsidiary of Clean Wind Energy Tower, Inc., has designed and is preparing to develop and construct large "Downdraft Towers" that use benevolent, non-toxic natural elements to generate electricity and clean water economically by integrating and synthesizing numerous proven as well as emerging technologies. Our Company's core objective and focus is to become a provider of clean efficient green energy to the world communities at a reasonable cost without the destructive residuals of fossil fuel, and to help broker the chasm between both, while continuing to generate innovative technological solutions for today and tomorrow's electrical power needs. As designed, the Company anticipates that each Downdraft Tower could generate enough electricity to power up to 1,600,000 homes using the guidelines set forth in the California Statewide Residential Appliance Saturation Study, 2004. As an independent power producer of clean, renewable energy, the Company will not be selling power directly to consumers but rather to the grid. As currently designed, the Company anticipates that each Downdraft Tower will be capable of generating 1,100 megawatts per hour of salable electricity to the grid. One megawatt equates to 1,000,000 watts or 1,000 kilowatts of electricity. Currently, avoided costs per kilowatt in California are running approximately $0.11 per kilowatt hour. In addition to constructing Downdraft Towers in the United States and abroad, the Company intends to establish partnerships at home and abroad to propagate these systems and meet increasing global demand for clean water and electricity. 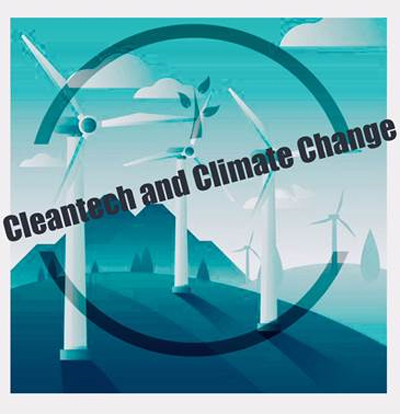 Clean Wind has assembled a team of experienced business professionals, engineers and scientists with access to the breakthrough energy research upon which this technology is founded and the proven ability to bring the idea to market. Clean Wind has filed several patents that the Company believes will further enhance this potentially revolutionary technology. Clean Wind Energy, Inc. is based in Annapolis MD, and is traded on the OTCBB under the symbol 'CWET'. LITTLE FALLS, NJ - February 22, 2012 (Investorideas.com Newswire) - mPhase Technologies, Inc. (OTC.BB: XDSL.OB) said today that it has filed a provisional patent application for a novel drug delivery system based on its Smart Surface technology. The drug delivery patent is based on the ability of mPhase's Smart Surface technology to electronically control the precise flow of a fluid on a nano-structured surface. New York, New York - February 21, 2012 - (Investorideas.com renewable energy/green newswire) Investorideas.com, a leader in renewable energy stock research, releases a trading alert for wave technology stock Ocean Power Technologies, Inc. (Nasdaq:OPTT). The stock is currently trading at 3.5708 0.3908(12.29%) with a high of $3.90 following a report from the UK entitled, Energy and Climate Change - Eleventh Report -The Future of Marine Renewables in the UK . The report, published by the House of Commons pushes for the UK to become a global leader in marine renewables. According to the UK Parliament site, "The UK could become a leading exporter of wave and tidal power equipment and expertise if the Government adopts a more visionary approach to developing marine renewables, according to a new report by the Energy and Climate Change Select Committee." Ocean Power Technologies, Inc. is a pioneer in wave-energy technology that harnesses ocean wave resources to generate reliable and clean and environmentally-beneficial electricity. OPT has a strong track record in the advancement of wave energy and participates in an estimated $150 billion annual power generation equipment market. OPT’s proprietary PowerBuoy® system is based on modular, ocean-going buoys that capture and convert predictable wave energy into clean electricity. The Company is widely recognized as a leading developer of on-grid and autonomous wave-energy generation systems, benefiting from 15 years of in-ocean experience. OPT is headquartered in Pennington, New Jersey, USA with an office in Warwick, UK. More information can be found at www.oceanpowertechnologies.com. New York, NY - February 17, 2012 - (Investorideas.com renewable energy/green newswire) Investorideas.com, a leader in renewable energy stock research for independent investors, issues an investor alert for solar stock First Solar (NASDAQ:FSLR). The stock is currently trading at $42.45, up2.74 (6.90%) 12:50PM EST, with a day’s range of $42.23 - $45.20. Several solar stocks are up in today's session, following positive news in the sector including fourth quarter results from SunPower Corp. (NASDAQ: SPWR) announced yesterday on the close. According to the company press release, "We finished the year with a better than expected fourth quarter, as demand for SunPower's differentiated technology sold through our diversified downstream channels enabled us to reach annual records in both revenue and shipments," said Tom Werner, SunPower president and CEO. "Operationally, we achieved both our panel production cost target and accelerated manufacturing step reduction program milestones. Research and development investment results included initial volume production of our Maxeon Gen 3 next generation cell technology with a maximum cell efficiency of 24 percent. As the market transitions, the companies with the strongest balance sheets will gain share. Our strategic partnership with Total SA solidifies SunPower as one of the leading companies in the industry today." First Solar manufactures solar modules with an advanced semiconductor technology, and is a premier provider of comprehensive photovoltaic (PV) system solutions. The company is delivering an economically viable alternative to fossil-fuel generation today. From raw material sourcing through end-of-life collection and recycling, First Solar is focused on creating value-driven renewable energy solutions that protect and enhance the environment. For more information about First Solar, please visit www.firstsolar.com. LITTLE FALLS, NJ - February 14, 2012 (Investorideas.com Newswire) - mPhase Technologies, Inc. (OTC.BB: XDSL.OB) said today that it has been developing intellectual property based on an innovative platform technology to control the flow of fluids by electronically manipulating the way liquids behave when in contact with a solid or porous surface. The Company has a patent portfolio in Smart Surfaces of 11 patent applications consisting of a combination of solely owned, jointly owned and patents licensed with its development partners covering the mPhase Smart NanoBattery and its Smart Surface Technology. The Company is beginning to strengthen its patent portfolio beyond batteries. Future application filings will concentrate in the commercial and consumer areas targeting medical and portable electronic applications. To date mPhase has focused its development of this innovative technology platform for advanced battery applications. The mPhase Smart NanoBattery has a unique architecture that enables a shelf life of decades, remote activation, programmable control and adaptability to multiple chemistries within the same container. These attributes lend themselves to creative applications outside of batteries. LITTLE FALLS, NJ - February 13, 2012 (Investorideas.com Newswire) - mPhase Technologies, Inc. (OTC.BB: XDSL.OB) announced today that it is in continuing negotiations with a Private Equity group to invest capital in the Company that would exceed its current capitalized value in the public equity markets. The Private Equity investment would accelerate the ability of the Company to market its products including its new automotive and marine product soon to be announced. Such an investment would enable the Company to significantly increase its current value and would involve an innovative structure designed to maximize value for present and future shareholders of the Company. As previously announced such an investment would enable the Company to avoid continuous financings in the public markets, thereby eliminating the potentially dilutive effect on the Company's shares. The Company believes that its goal of initial and continuing profitability based upon its products and intellectual property would be accelerated. Such acceleration of revenues in the consumer products area would supplement the Company's continued pursuit to receive government funding for its SmartNanoBattery and other products related to its Smart Surface Technology. LITTLE FALLS, NJ - February 10, 2012 (Investorideas.com Newswire) - mPhase Technologies, Inc. (OTC.BB: XDSL.OB) said today that it intends to file a patent based on its Smart Surface technology for a novel drug delivery system. SHANGHAI, China - February 9, 2012 (Investorideas.com renewable energy newswire) General Motors (NYSE:GM) China has completed the installation of the first Sunlogics (18L1:GR) GreenZone® Solar Charging Station at its Shanghai headquarters. Sunlogics, a GM Ventures equity partner, created the GreenZone to be installed at GM's various facilities and dealerships around the world to support the introduction of the Chevrolet Volt extended-range electric vehicle and prepare for future EV vehicle programs. The GreenZone® provides a unique opportunity to charge electric vehicles using a pure renewable energy source, the sun. "The installation of the GreenZone solar charging station at our GM China headquarters proves our commitment to help develop an electric vehicle charging infrastructure in the Chinese market," said Ray Bierzynski, executive director of electrification strategy for GM China. "GM will continue to play a vital role working with major infrastructure suppliers and electrical utilities to provide convenient, reliable charging solutions for our EV owners now and well into the future." The GreenZone®Solar Charging Station installed at GM's China headquarters has a rated power output of 10 kW, which is enough to fully recharge up to six Chevrolet Volts each day. The GreenZone installation was completed by China Triumph International Engineering Company, the Sunlogics' Engineering, Procurement and Construction contractor for GM projects. General Motors and Sunlogics signed a Master Agreement on July 28, 2011, outlining a $7.5 million equity investment in Sunlogics PLC by General Motors Ventures LLC, giving Sunlogics the ability to develop the GreenZoneSolar Charging Station and larger scale commercial solar projects. "The Sunlogics GreenZone®Solar Charging Station captures energy from the sun and transforms it into clean, green renewable power, which is added to the grid, offsetting electricity used to charge electric vehicles. The GM China Shanghai installation is the first of its kind in China," says Charles Bryant, Sunlogics Interim Chief Executive Officer. General Motors traces its roots back to 1908. GM has 11 joint ventures, two wholly owned foreign enterprises and more than 35,000 employees in China . GM and its joint ventures offer the broadest lineup of vehicles and brands among automakers in China . Passenger cars and commercial vehicles are sold under the Baojun, Buick, Cadillac, Chevrolet, Jiefang, Opel and Wuling brands. In 2011, GM sold 2.55 million vehicles in China , which represented 8.3 percent growth over the prior year. It has been the sales leader among global automakers in the market for six consecutive years. More information on General Motors in China can be found at GM Media Online. Sunlogics PLC is a vertically integrated global solar energy systems provider specializing in solar project development and installation. The scope of the company's operations includes Canada , United States , Europe and China . More information can be found at www.sunlogics.com. The following information is intended for investors who are able to thoroughly evaluate and accept potential risks related to an investment in shares issued by this company. This information neither presents an offer to sell nor an invitation to buy or subscribe for shares of this company. The shares of this company are neither admitted to trading on the Regulated Market nor included in trading on the Regulated Market. They are included in trading in the Open Market (Regulated Unofficial Market) of FWB Frankfurter Wertpapierb�rse (the Frankfurt Stock Exchange). Investors must be aware of the fact that the Open Market (Regulated Unofficial Market) on the Frankfurt Stock Exchange is not subject to the high Europe-wide transparency standards and strict provisions for investor protection on EU-regulated markets. LITTLE FALLS, NJ - February 9, 2012 (Investorideas.com Newswire) - mPhase Technologies, Inc. (OTC.BB: XDSL.OB) announced today that it is in negotiations with a Private Equity group to invest a minimum of $2 million in mPhase. The Private Equity investment would enable the Company to avoid continuous financings in the public markets and would also bring a new Board Member to the Company with a solid foundation in cost reduction and marketing. This would accelerate the time to market for the Company's products. The acceleration to market in the consumer products area would supplement the Company's continued pursuit to receive government funding for its SmartNanoBattery and other products related to its Smart Surface Technology. SHANGHAI, China – (Investorideas.com renewable energy newswire ) General Motors (NYSE:GM) China has completed the installation of the first Sunlogics (18L1:GR) GreenZone® Solar Charging Station at its Shanghai headquarters. Sunlogics, a GM Ventures equity partner, created the GreenZone to be installed at GM’s various facilities and dealerships around the world to support the introduction of the Chevrolet Volt extended-range electric vehicle and prepare for future EV vehicle programs. The GreenZone® provides a unique opportunity to charge electric vehicles using a pure renewable energy source, the sun. The GreenZone®Solar Charging Station installed at GM’s China headquarters has a rated power output of 10 kW, which is enough to fully recharge up to six Chevrolet Volts each day. The GreenZone installation was completed by China Triumph International Engineering Company, the Sunlogics’ Engineering, Procurement and Construction contractor for GM projects. “The Sunlogics GreenZone®Solar Charging Station captures energy from the sun and transforms it into clean, green renewable power, which is added to the grid, offsetting electricity used to charge electric vehicles. The GM China Shanghai installation is the first of its kind in China,” says Charles Bryant, Sunlogics Interim Chief Executive Officer. General Motors traces its roots back to 1908. GM has 11 joint ventures, two wholly owned foreign enterprises and more than 35,000 employees in China. GM and its joint ventures offer the broadest lineup of vehicles and brands among automakers in China. Passenger cars and commercial vehicles are sold under the Baojun, Buick, Cadillac, Chevrolet, Jiefang, Opel and Wuling brands. In 2011, GM sold 2.55 million vehicles in China, which represented 8.3 percent growth over the prior year. It has been the sales leader among global automakers in the market for six consecutive years. More information on General Motors in China can be found at GM Media Online. Sunlogics PLC is a vertically integrated global solar energy systems provider specializing in solar project development and installation. The scope of the company’s operations includes Canada, United States, Europe and China. More information can be found at www.sunlogics.com. The shares of this company are neither admitted to trading on the Regulated Market nor included in trading on the Regulated Market. They are included in trading in the Open Market (Regulated Unofficial Market) of FWB Frankfurter Wertpapierbörse (the Frankfurt Stock Exchange). Investors must be aware of the fact that the Open Market (Regulated Unofficial Market) on the Frankfurt Stock Exchange is not subject to the high Europe-wide transparency standards and strict provisions for investor protection on EU-regulated markets.